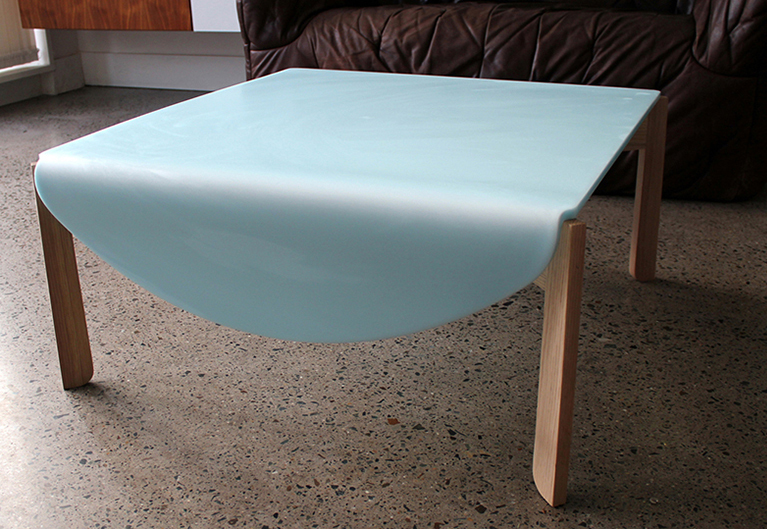 Hand made coffee table. 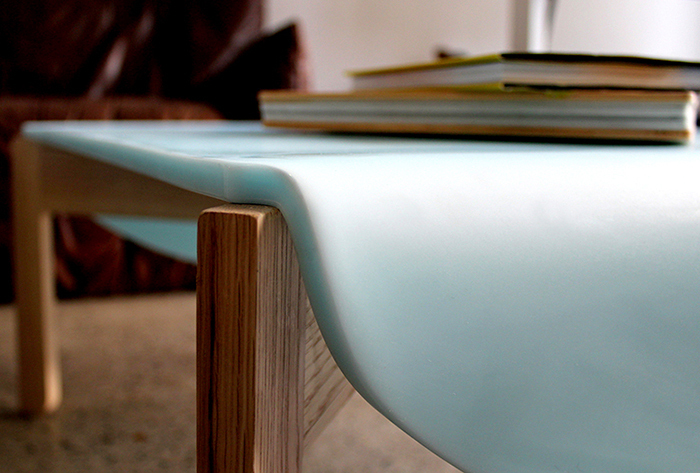 This coffee table is made using a mix of 2 materials - the new and the old. The base frame is solid white oak. This is made using traditional joinery techniques and gives the table a very solid and robust base. The top itself is a man made material. 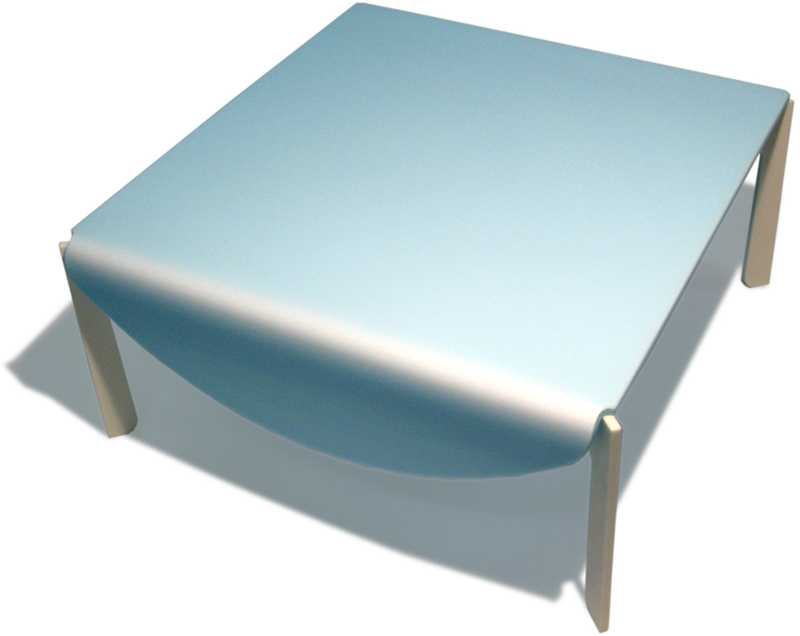 This is generally known as "solid surface" and is often used as kitchen counter tops. The brand we have used here is Hanex. The top is stain resistant and will take the general wear and tear of everyday use. It will look the same now as it will in 10 years. 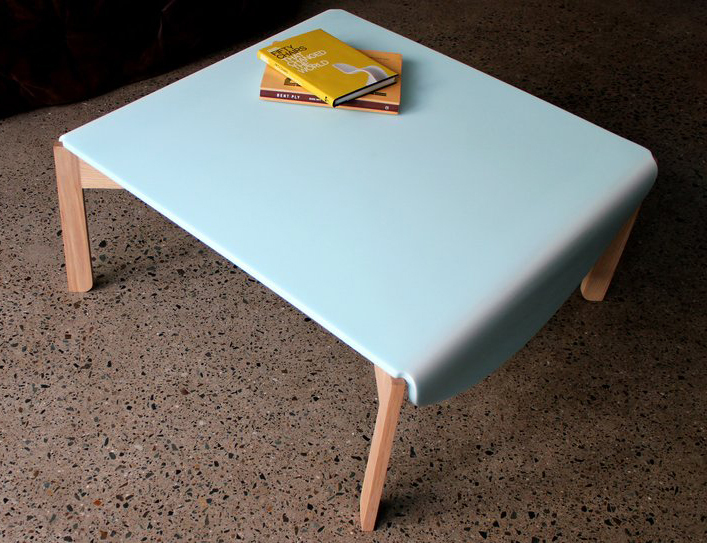 The top is based on a cloth overhanging the edges of a table top. Dimensions: 700mm long x 700mm wide x 350mm high.